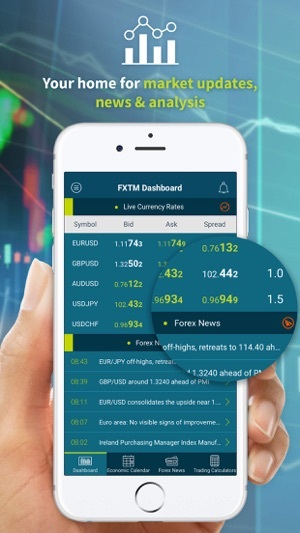 It’s time to keep your finger firmly on the pulse of the financial markets with this must-have Forex App from FXTM. •	Open a Demo or Live Account. •	Get Live Currency Rates and the latest Forex News & Analysis. 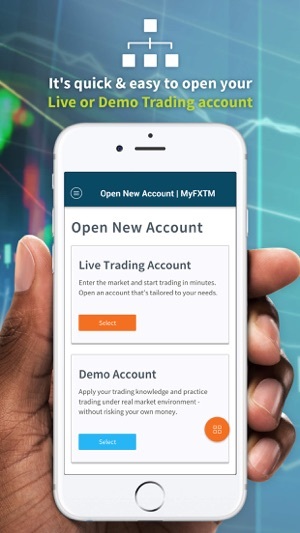 •	Download Trading Platforms (MT4 / MT5). •	Monitor activity in the financial markets with detailed Currency Charts. 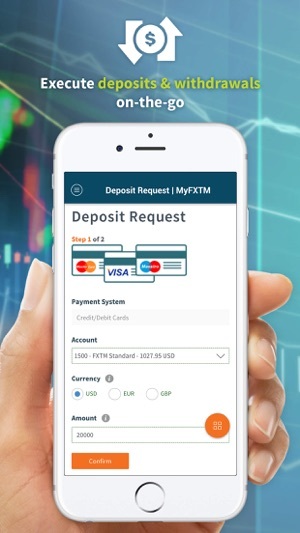 •	Deposit and Withdraw funds. o	Majors, Minors, Exotics and Spot Metals. 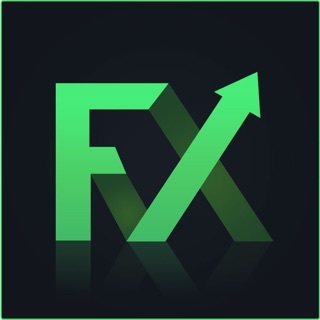 o	Breaking Forex News feed. o	‘Tutorial Mode’ for main functions. o	Upload verification documents with option to take photo & attach for approval. 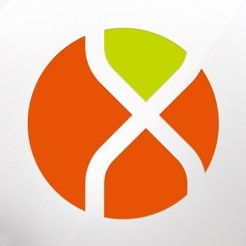 o	Manage your personal details. o	Follow strategy traders via FXTM Invest. o	Deposit and withdraw your funds. o	Register to attend educational seminars and workshops. o	Key events and indicators for the financial markets. o	Filter events by date range, country, possible level of volatility, category and keyword. o	Get the latest news from the financial markets. o	Keep device awake feature. o	Search for News and Analysis you are interested in. 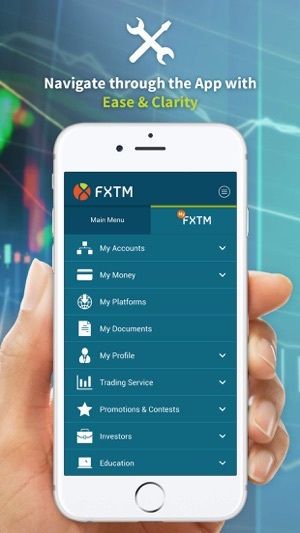 o	Be the first to find out about FXTM’s new products and forex trading services. o	Filter the news by category. 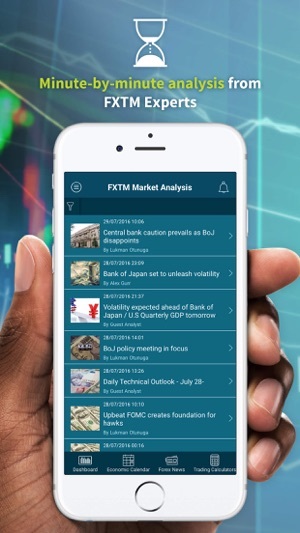 o	Daily market analysis prepared by FXTM’s in-house team of analysts. o	Get alerts on the latest price changes and economic events. o	Useful Profit, Pip and Currency Converter calculators. o	Create personal portfolios to track the instruments you are most interested in. o	Design your news feeds so that you only see what you need the most. o	English, Simplified Chinese, Arabic, Indonesian, Czech, French, Polish, Spanish, Italian, Korean, Malay, Thai.